Palm fruit digester machine or palm oil digester machine pounds palm fruit into a paste and supplies heat to the palm fruit to facilitate the palm oil pressing process. Vertical palm fruit digester machine is the mostly used and has better effect than horizontal palm fruit digester machine. 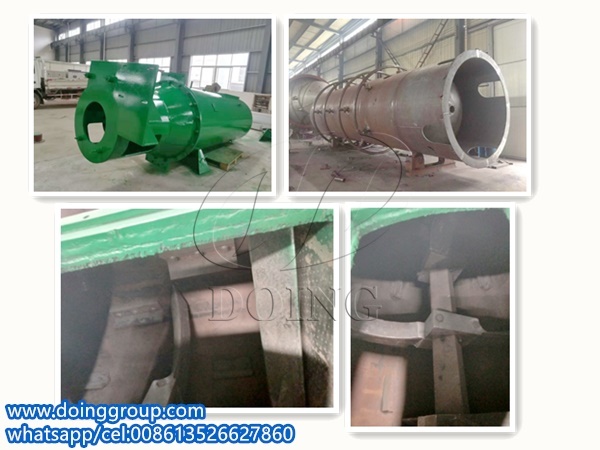 Henan Doing Company can customized the palm oil digester machine for you according to your production capacity of palm oil mill plant. The vertical palm fruit oil digester machine includes a heated cylindrical container, in whose inside equipped with a central rotating rod carrying some stirring or beating arms. And such the inner structure is used to release the oil in the palm fruit by breaking down the oil-bearing cells. These rods pound the palm fruit at high temperature to reduce the thickness of the palm fruit and make the palm oil pressing process more easily. The palm fruit oil digester machine is filled with palm fruits which come from the palm fruit thresher machine. The palm fruit digester machine runs optimally when it is full or at least three quarters full. So it is important to match the capacity of the thresher machine to the palm fruit oil digester machine. It takes about 15 minutes for the palm fruit oil digester machine to process a single batch from the thresher machine. A palm fruit oil digester machine with properly designed stirring arms is better for the result of palm fruit digesting process. Too many stirring arms will lead to over digestion, and the bottom of the palm fruit digester machine will quickly flood with oil. The other thing that we should to pay attention to is to ensure the digester has a working drainage valve. Because the presence of palm oil in the palm fruit digester machine may lower the efficiency of digesting process. The above is the introduction of palm fruit oil digester machine. Henan Doing Company is able to provide 1-120tph palm fruit oil digester machine. The following pictures shows the 15tph palm fruit digester machine and inner structure. Palm fruit figester machine is very important for the quality of palm oil and the efficiency of palm oil production. 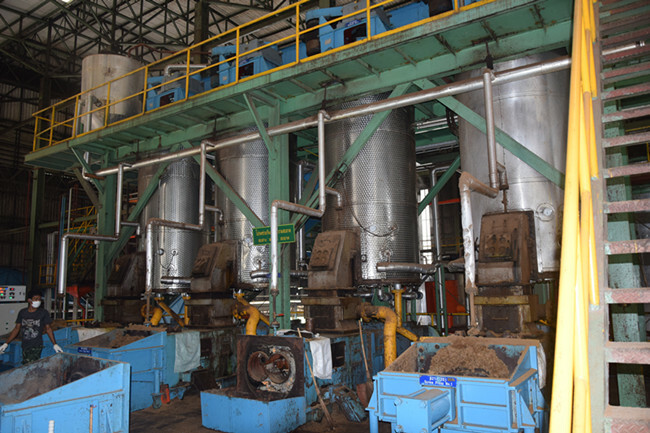 Henan Doing Company not only provide palm fruit oil digester machine, but also provide the whole palm oil processing plant, palm kernel oil mill plant, palm oil refinery plant turn-key service. Please contact us without hesitation and we will provide the best service for you! 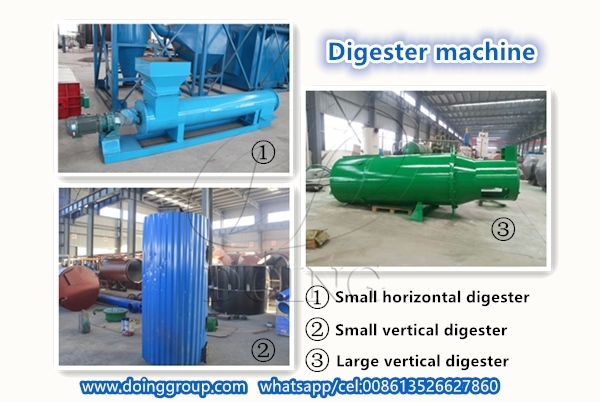 If you wanna to get more details about Vertical palm fruit digester machine for palm oil mill plant you can send E-mail to market@doinggroup.com. You can consult our professional engineer and specialized sales team with leave a message in below form.We will contact with you ASAP.You also can visit our factory in Henan,China.Get Detailed address.